This art project is perfect for exercising fine motor skills! 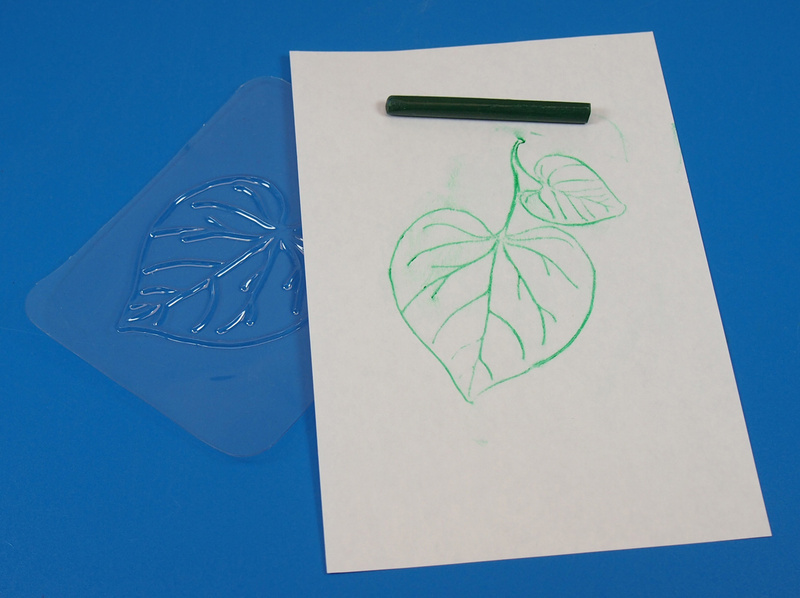 Crayon rubbings create natural images of leaves for special fingerpaint caterpillars to rest on. PLUS: This week we’re launching our challenge section for each craft! Try out the challenge below and send us photos of your work to get published in an upcoming post! This is a great project for a rainy day or as a supplementary activity to exploring the natural world. Talk about the life cycles of caterpillars and introduce the term metamorphosis to kids’ vocabularies! Prepare all your materials. 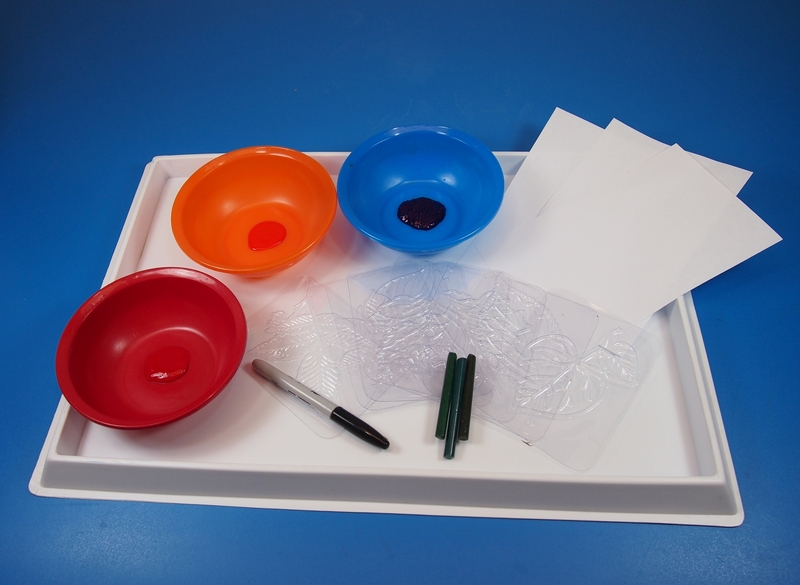 Tip: Choose only one or two fingerpaint colors for the fingerprint caterpillars. This will help minimize mess. Place the rubbing plate beneath the sheet of paper. Turn the crayon on its side as you rub across the sheet to get an even print. Use colors such as green, orange, yellow and red to illustrate the leaf. Tip: Go back over the leaf rubbing with another color to add dimension to the leaf. You can even use the rubbing as a guide to color the spaces in between the lines. 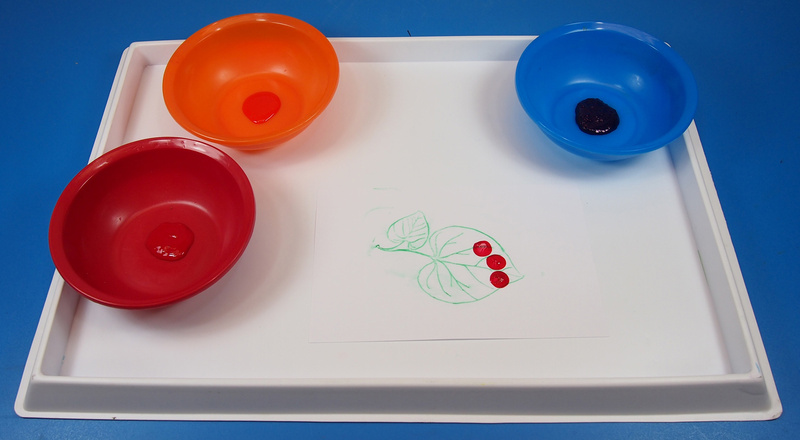 Set your leaf rubbing onto the paint tray. Dip your finger into the fingerpaint. Press the tip of your finger onto the leaf rubbing. Continue to press more fingerprint dots beside each previous dot to form a line. Curve the line to give the caterpillar some movement. Take a fine-tip black marker and add in antennae or a smiley face and feet to complete the look of your caterpillar! This week, I’d like to begin the CRAFT CHALLENGE! Every post from now on will have one challenge below the photo-tutorial. Try out the challenge and send us photos of your work! Tie a clothesline between two trees and hang all the caterpillar fingerprint artwork from it! Use laundry clips to hold the artwork on the clothesline. 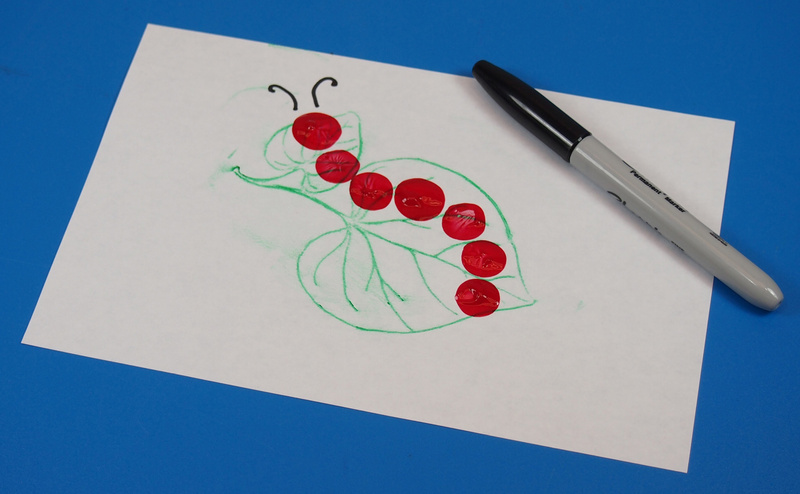 What other kinds of bugs can you make with your fingerprint artwork? Send us photos of your work! Contact us through the contact form. We’d love to hear from you! This entry was posted in Art and tagged art, art education, crayon rubbings, elementary art, fingerpaint, fingerprint animals, kids art, leaf rubbing plates, summer crafts by roylcoblog. Bookmark the permalink.